The Murky World of Foreign Exchange – Why you will pay 12% less for ski passes, ski hire, ski lessons, airport transfers and childcare this year! The ski season is now only 5 months away and we are starting to get a little bit excited – it actually snowed at the top of both the Portes du Soleil and Le Grand Massif ski areas last week. There is also another reason to be looking forward to your ski holiday – ski passes, ski hire, ski lessons, airport transfers, and childcare are 12% cheaper if you book them now compared to this time last year. How? 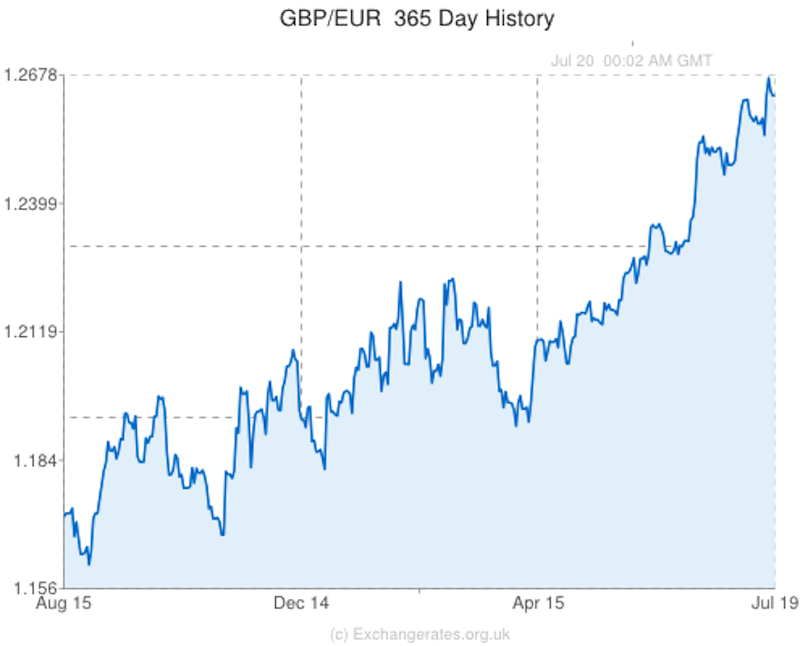 Because the pound is 12% stronger against the euro in July 2014 compared to July 2013. Ski passes, ski hire, ski lessons, airport transfers and childcare are priced up in euros – this means that your pounds sterling are going 12% further than they did last year. Here’s an example: assume that it costs €500 per person for a 6-day Portes du Soleil ski pass, return airport transfers from Geneva airport, a block of group lessons with BASS Morzine, and a 6-day Gold Ski Package from Doorstep Ski. You are staying at The Tasty Ski Company’s ‘The Grange’ in central Morzine with 11 of your friends. This brings the total for your group to €6000. So you are saving the best part of £500 simply because the exchange rate is working in your favour. At The Tasty Ski Company there is another advantage. We can organise many of these extra items for you. We can be paid back in pounds sterling (using the current excellent exchange rate). The advantage here is that you avoid paying any expensive foreign exchange charges. Typically banks charge around £10 for any foreign exchange transaction for an internet bank transfer while you are still in the UK. So if you’re thinking about booking a ski holiday in Morzine or Le Grand Massif (or indeed if you already have), then this 12% saving is a nice little extra benefit! And long may it continue – the pound is expected to stay strong against the euro for the foreseeable future meaning further savings to look forward to!